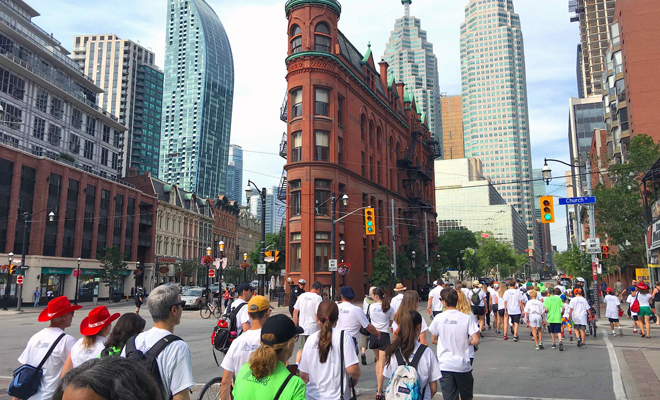 Harry McMurtry, Sue Thompson and Ross Sugar walked from New York City to his hometown, Toronto, to raise awareness and money for Parkinson’s research. The proceeds will be divided among the following recipients: The Michael J Fox Foundation; Morton and Gloria Shulman Movement Disorders Centre and The Edmond J Safra Program in Parkinson’s Disease at the Toronto Western Hospital; Mount Sinai Beth Israel Movement Disorders Center in New York. 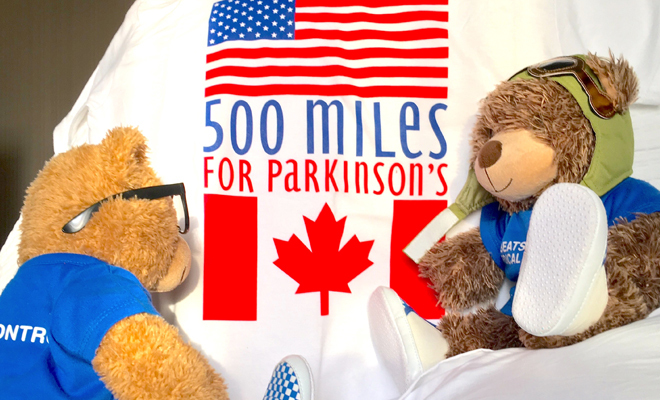 Five hundred miles is a long distance for anyone to walk – and it’s even more of a challenge if you’re battling Parkinson’s symptoms all the way. Yet that’s exactly what three friends – Harry McMurtry, Sue Thompson and Ross Sugar – did when they set out on a remarkable journey from New York City, US, to Harry’s hometown Toronto, Canada. 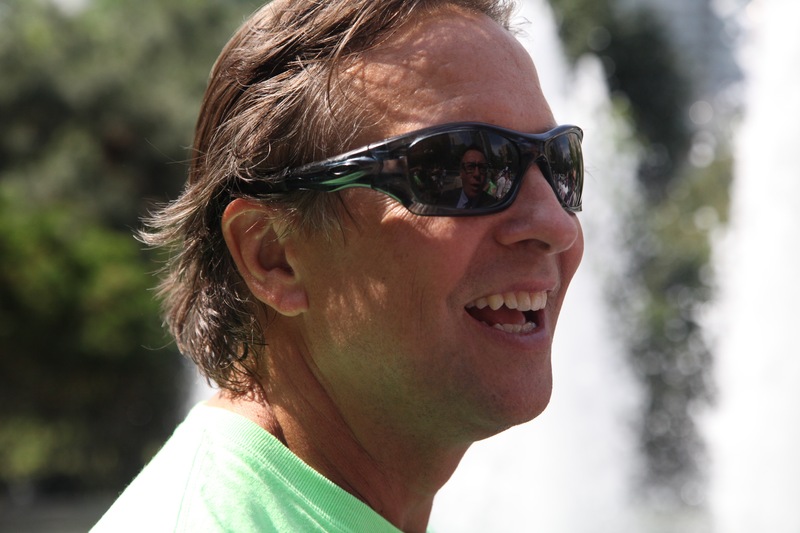 The walk, dubbed ‘500 Miles for Parkinson’s’, took nearly two months to complete, averaging 15 miles a day. The trio had set a fundraising target of $500,000. In the end, they raised a staggering total of $750,000. If crossing the finishing line was ever in the balance, Harry’s spirits must surely have been lifted by the many friends, relatives and celebrities who turned out to support him along the way – including a surprise trans-Atlantic visit from the man said to have inspired it all. In 2014, John MacPhee walked the same distance on his ‘Long Straight Walk’ across England and Scotland (starting at Land’s End in Cornwall and ending at John O’Groats in the Scottish Highlands). While Harry was researching his own walk, he reached out to John for advice via the Internet – and the two became friends. 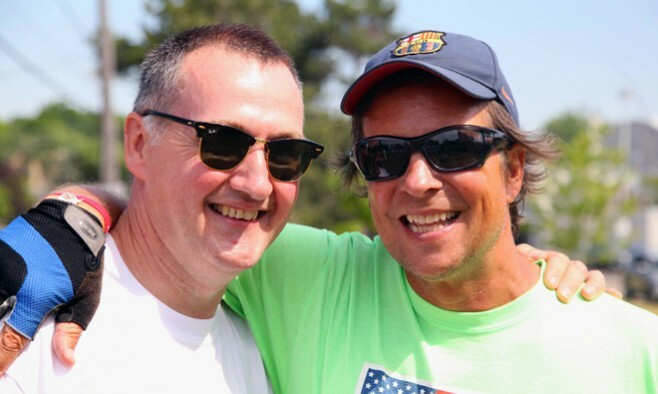 So when Harry’s support team contacted John to see if he’d come all the way from Scotland to join the last leg of the walk with Harry at the end of June, in a surprise ‘guest’ appearance, he didn’t hesitate. 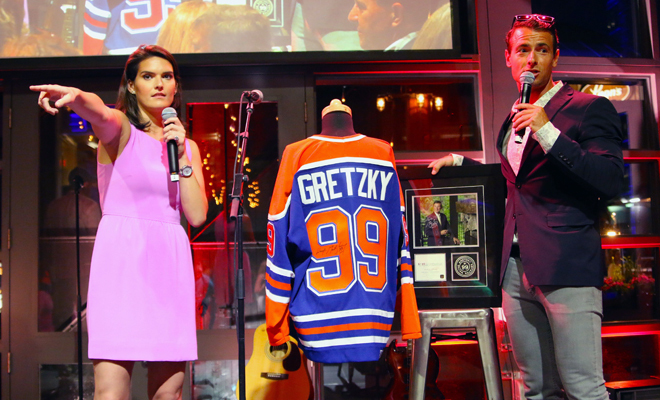 The three walkers and their supporters – including John – celebrated the success of the challenge at a huge fundraising gala in Toronto, which saw the auction of ice hockey shirts belonging to the famous Wayne Gretzky, raising a further US$10,000. The total sum exceeded $750,000. John paid tribute to the efforts of Harry and his companions: “The three walkers who made it every step of the way are giants. Harry McMurtry, Sue Thompson and Ross Sugar are real heroes. 1. I walk in Salomon three seasons boots. Get a pair that suits your feet and buy two pairs if you can. NB – Break in the spare pair on short walks. 2. Only ever take your boots off if you are going to change your socks or treat a blister. 3. Use Stride Out Foot Oil to avoid blisters. 4. Buy the best socks you can afford – I use Smartwool hiking socks with lining socks. 5. Don’t use talcum powder on your feet as it will eventually act as an abrasive. 6. Keep your toenails clipped short!